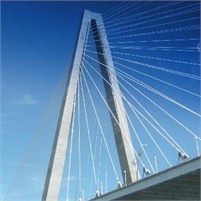 360 Financial Partners is an independent and comprehensive investment planning firm headquartered in Charleston, SC. Our purpose is to partner with our clients to help them, their families, and their businesses achieve financial independence. We believe all clients are different, and should have a customized plan that addresses their specific needs. While we continue to focus on stock, bond, and mutual fund recommendations, we realize that today’s investment environment does not solely revolve around the various stock exchanges. In addition to investments that are correlated to the stock market, we advise our clients on alternative investments that may bear certain tax benefits, as well as bolster their diversification*. We do this without financial backing from mutual fund companies or insurance carriers, thus giving us an objective point of view in the market. 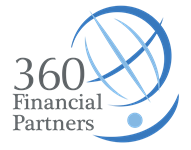 When working with 360 Financial Partners, you will find that having a partner means personalized service, communication, and recognition in all aspects of your financial world. We invite you to explore the financial world from our perspective. Become a client, become a friend, become a Partner. *Diversification does not eliminate the risk of market losses. Securities offered through SA Stone Wealth Management Inc. Member FINRA/SIPC. Investment Advisory Services offered through 360 Financial Partners, LLC a Registered Investment Advisory. 360 Financial Partners. LLC and SA Stone Wealth Management Inc. are not affiliated. Registered Representatives may only transact business and/or respond to inquiries in states in which they are properly licensed and/or registered. The information in this website is not investment or securities advice and does not constitute an offer. Investing involves risk, including the possible loss of principal invested.